Waltzingmouse Stamps - Pajama Party!! Hello friends! 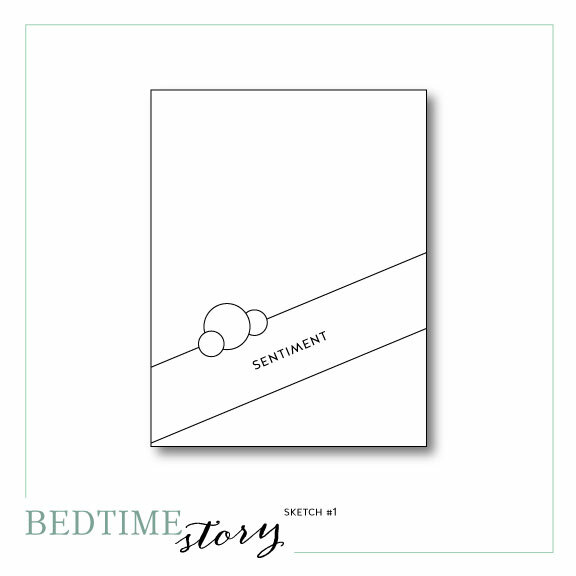 Today is the start of a brand new feature at Waltzingmouse Stamps - a monthly Pajama Party! If you've just happened by today, head over to the WMS blog to check it out! 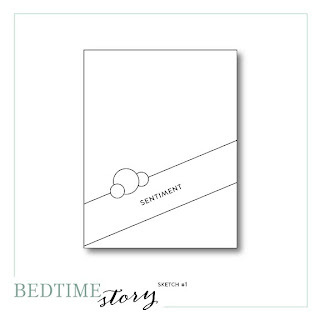 There will be a number of challenges this evening as well as a "Bedtime Story" sketch challenge that you will have one week to complete! And, because this is the first pj party, we are on the lookout for someone who is on a Waltzingmouse roll to be chosen for a Guest DT spot! Fun stuff!! 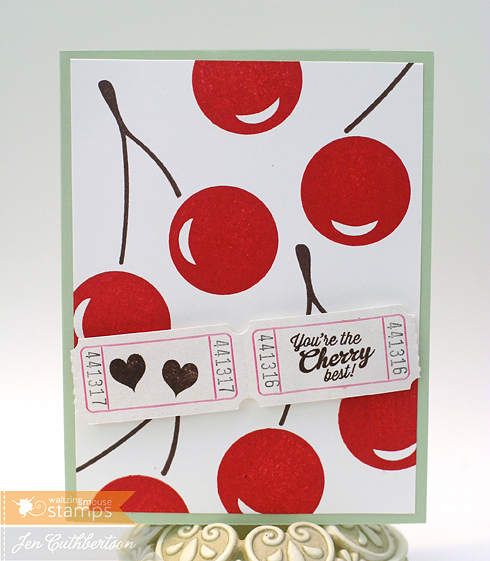 For my project, I started off with a panel of white cardstock that I stamped the wonderful cherries on from the new set Big Berries - Cherry. I just adore this set - it has become one of my go-tos for sure! I layered the panel onto a pale green card base and then stamped a couple of tickets with a sentiment from the set and a little heart from the new You're a Doll Additions set. Thank you so much for visiting today and I hope you have fun at the party! Hello friends! Today is the start of color splash week at The Play Date Cafe! I hope you have fun with the neon yellow like I did and I can't wait to see your creations! I have to admit that the neon trend has mostly been off of my radar so I was a little nervous when I saw this one pop up wondering what I could find. Lo and behold, I found a wonderful pipe cleaner! I used a new stamp set from my friend, Wendy (thank you!! ), and some fun papers to create the background and added the splash of yellow in the pipe cleaner heart. Thank you so much for visiting today and I look forward to what you create with this challenge! Hello friends and welcome to the new release DT blog hop with The Craft's Meow! I hope you've loved what you've seen this week and now you get to see the stamp sets in their entirety! If you're here from Jennie's blog, you're in the right spot. If you've just happened by, head over to the TCM blog to get started! As I mentioned earlier this week, we are in the middle of a baby storm with our group of friends and I'm cranking out baby cards as fast as I can! I made this one with our friends in mind who are due in early August but just in case their daughter arrives a bit early, I left it on the neutral side to send to another friend who is expecting a boy. Crazy! I started off stamping and cutting out the little tag image from the Vintage Baby set and adhered it to a card base I made from some calendar-themed papers. I stamped the little heart row from Turtle Love onto the bottom of the card and then colored the hearts to match the pretty sunflowers from the paper. I finished the card with some ribbon and a vintage button in pretty yellows. Now for the fun part - one of you lucky readers will win all 5 new sets from TCM! 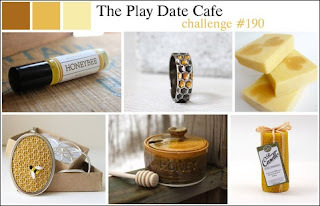 To be eligible, simply leave comments along the hop and Lisa will pick a random winner one designer's blog. The deadline to comment is 8:00pm PDT, Tuesday July 23rd. Wow! Hello friends and welcome to day four of previews for the wonderful July release with The Craft's Meow! This is the last day of previews before the big blog hop and today we're previewing "Circle It" designed by Karen Baker! For my project, I saw the circle around the A+ and it reminded me immediately of school so I tried to incorporate some elements on my card that felt like school! I started off with a black panel that I inked to make look like a chalk board and then stamped the A+/circle and the "thanks" sentiment. I layered that panel onto some cork patterned paper and some red dotty paper held by a little clip. Thanks so much for visiting and don't forget - tomorrow is release day and we'll be having a fun blog hop with a chance to win the entire release! Hello friends and welcome to day three of previews for the wonderful July release with The Craft's Meow! Today we're previewing "Welcome to the Office" designed by Karen Baker. 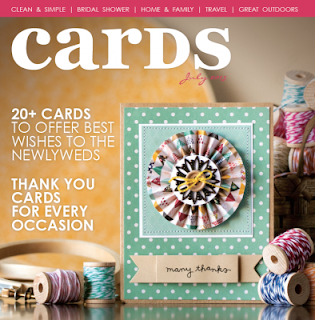 Along with a number of fun work-related sentiments, there are other sentiments and images that are so on trend right now and perfect for any type of card you want to make! I kept it a little CAS for this card and started off with a white card base that I stamped the word "you" and one of the sentiments from the set (this set has a lot of building blocks where you can make your own sentiments and I love that!). I found some ledger patterned paper and stamped the little lamp in black and the "glow" using some gold metallic ink. I attached a paper clip and popped the panel up using foam squares. There is definitely a "baby storm" with our group of friends right now and this card was made for little Noah who arrived one day early (and right on time to share my birthday a couple of weeks ago!) We haven't met him yet but will get to do that this week! Yay for squishy babies! I wanted to keep this card neutral so I layered a couple of neutral patterned papers that I had inked the edges of over a brown card base and added some washi tape to cover the seam. I stamped the pram image onto the top half and one of the sentiments from the set onto the lower half finishing the card with some little sequin stars. Thank you so much for visiting today and don't forget to stop by the TCM blog for a chance to win this set for yourself! Hello friends and welcome to another fun challenge at The Play Date Cafe! This week, we are sponsored by Mona Pendleton and are showcasing her fabulous new stamps and dies available at My Favorite Things! I've had a chance to work with Mona in the past and her creativity is just so inspirational! I was lucky enough to get the "Dandelion Wishes" stamp set along with the coordinating dies to play with and they are so much fun! And, I just received a big package of new supplies, including colored inks and cardstock that are just perfect for this color story! For my card, I started off with a cantaloupe card base and layered some patterned paper over the top. I stamped the background with one of the wonderful sentiments from the set and then stamped the dandelion on a smaller panel and embossed the white "fluff." 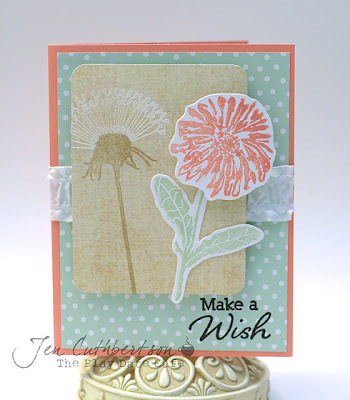 I finished the card with a stamped dandelion in this week's colors that I cut out with the dies. A fun contrast for sure! Thanks so much for visiting and don't forget to link up by Tuesday for a chance at a wonderful prize sponsored by MFT! 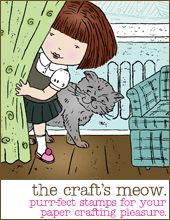 Hello friends and welcome to the first day of previews for the wonderful July release with The Craft's Meow! This is a bittersweet time for me as it will be my last release with TCM before the little is due in early September. I have loved every minute of my time with TCM and Lisa, Julie, and the rest of the DT inspire me each and every day! I will miss all of you!! So, on to the fun part - the new sets! This month, we will be previewing 5 new sets starting with "Hogs and Kisses" and "Turtle Love" designed by Mindy Baxter! 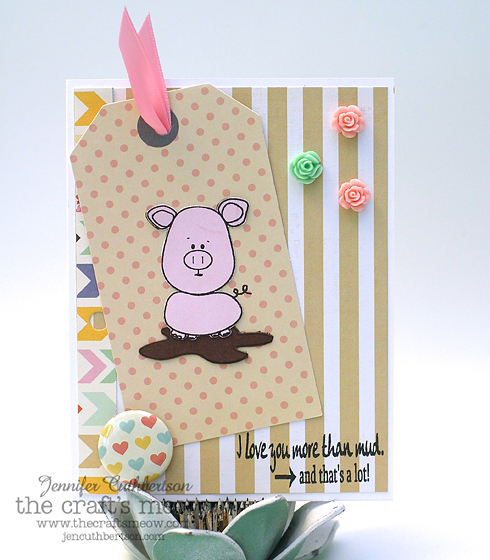 For my first project, I made a card using one of the adorable little pigs from the set and her precious little mud puddle. I pieced the pig and the puddle from solid papers and layered those atop some patterned papers and stamped one of the fun sentiments on the lower right. I finished the card with some little resin rosettes and a piece of coordinating flair. For my second project, I started off with a striped gift bag and layered a couple of tags on top stamped with a birthday sentiment and a little row of hearts from the set. I stamped and pieced three balloons onto the bag and finished with a big bow. Now, there are lots more images in this set, including a large (perfect to color!) turtle that you will see on some of the other DT projects! She sure is cute!! Thanks so much for visiting today and be sure to leave a comment back on the TCM blog for a chance to win one of these sets of your very own! Hello friends! 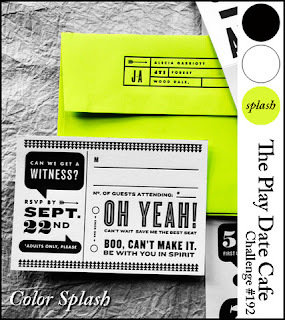 Today I have a fun card to share with you that I made for this week's new challenge at The Play Date Cafe! I just love the neutrals this week and can't wait to see what you create with them! 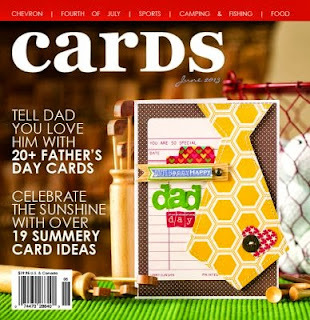 For this card, I started off with a linen card base in butter and added some kraft chevron paper as a background. I layered some crochet trim and a journaling card on top and finished the card with a stamped label. 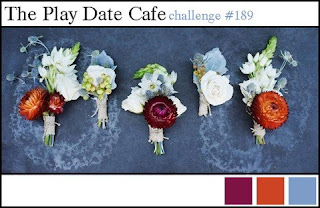 Thanks for visiting today and I'm looking forward to visiting your blogs to see what you made for this week's challenge! 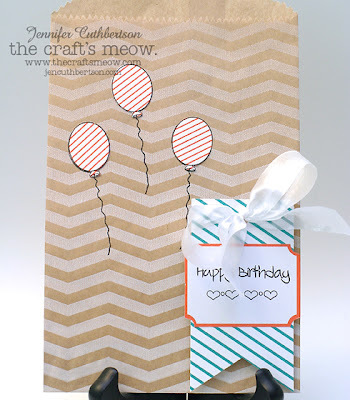 Hello friends and welcome to the June blog hop with The Craft's Meow! 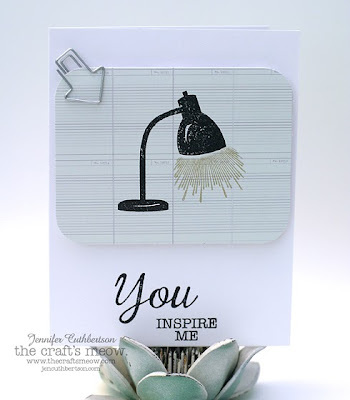 This month, we're featuring stamps from Mabelle R-O! If you're here from Jennie's blog, you're in the right spot. If not, head over to the TCM blog to get started! I decided to use the Sweet Birthday set to make this fun tag as today is MY birthday! Yep indeed, the big 4-3! Can you believe it? I know I sure can't. I joke around that if MTV wanted to make a show about "16 and Pregnant", they could have the geriatric version starring me! :) All kidding aside, we are over the moon and can hardly believe that the little will be joining us in 2 short months! I started off with a large shipping tag and covered it with a lightly printed piece of paper. 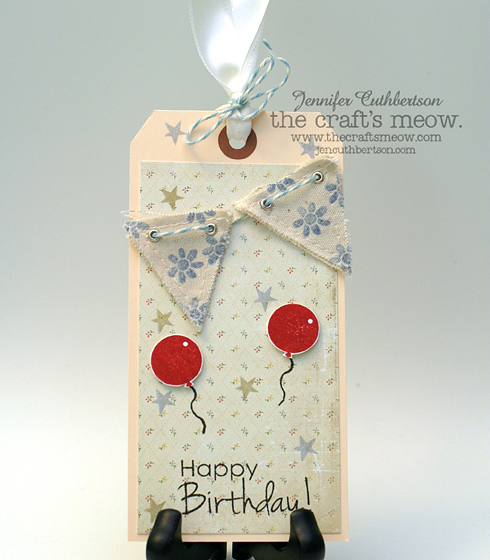 I stamped the sentiment and stars onto the paper and then stamped the balloon strings. I stamped and cut out the balloons from another piece of cardstock and popped them up slightly. I found a couple of small, canvas pennants and stamped them with one of the flower images from the set and strung them with some twine. 11:59 EST, Tuesday July 9th and the winner will be announced Wed, July 10th. Also, today is the last day to receive a 20% discount on all orders. All you have to do is enter the code "July4thSale" at checkout to receive the discount. I sure hope you have a wonderful Sunday - I know I will! The hubs has a day of surprises planned for me and I can't wait! Next up is Jessica with more Mabelle R-O inspiration! Thanks so much for visiting today! Hello friends and welcome to another fabulous color story at The Play Date Cafe! 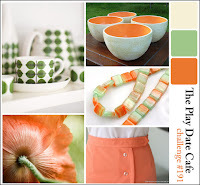 I had so much fun with these colors and know you will, too! For my project, I started off with a burgundy card base and then layered the terra cotta and blue patterned papers on top. I added a shipping tag and some coordinating washi tape for some visual interest and then stamped and cut out a label. I finished the card with some gem brads and some baker's twine. Thanks so much for visiting today and don't forget to link up by Tuesday for a chance at a fabulous prize from our sponsor, The Memory Nest!